The JAI Sweep+ colour line scan cameras are based on advanced prism technology, which is one of the main competences of JAI. These cameras capture the red, green, blue and NIR (depending on the model) bands in four separate channels simultaneously through the same optical path. Sweep+ cameras are available with a variety of sensor resolutions (up to 4096 pixels) and sensor types (CCD and CMOS). All cameras in the range feature one-push automatic white balance, flat-field correction, colour shading compensation and binning functions for increased sensor sensitivity. 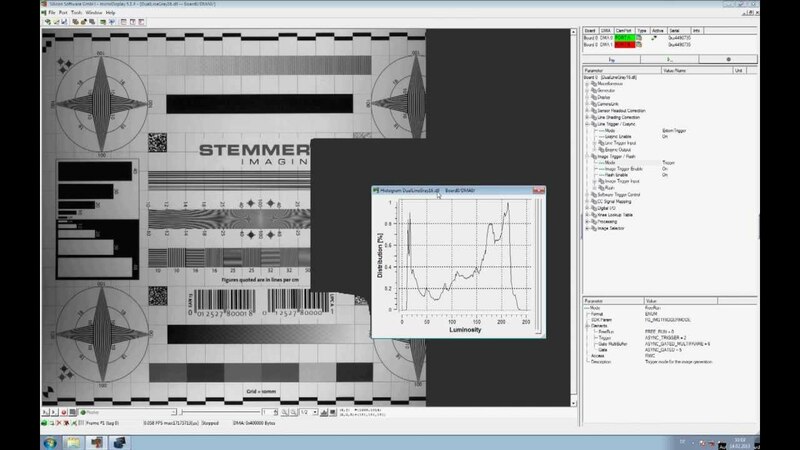 This STEMMER IMAGING training videos shows you in simple steps how to perform a Flat Field Correction (FFC) for a machine vision line scan camera. The FFC will help to eliminate stripes and shading in line scan camera images. The Sweep+ captures R, G, B and NIR (depending on model) bands simultaneously. For this purpose, the sensors are mounted on a specially designed optical prism, which divides the incident light into red, green, blue and optionally NIR colour channels. JAI’s patented method ensures precise alignment of the four sensors on the same optical axis. This means significantly less colour fringing and better data. It also avoids the necessity to subsequently correct image data via software. Thanks to the advanced prism technology used in the JAI Sweep+ cameras, the optical axis is always exactly aligned, thus eliminating parallax issues. This also avoids complex alignment procedures associated with off-angle viewing or inspection of cylindrical or wavy objects. This makes the camera perfectly suited for difficult shapes. The advanced sensor technology in combination with an improved light transmittance ensures faster shutter speeds than with other cameras for the same light intensity. Inspection times decrease while system productivity increases.